This is a cast stone fireplace mantel surround with an overmantel. This ones wraps around the projected wall. Simple panel plus argyle pattern overmantel that gives the home a complete look. The paneling could be done in a variety of ways. There is also a niche on the top. Niche has a diamond in-lay for the paneling. The crown molding at the top that follows the same style as the wood crown molding. All the joints are tight but visible this is a common choice and gives a finished look. This travertine overmantel was installed in Evanston Illinois inside an apartment. Many people living in condos and apartments don't consider overmantel fireplaces as an option because they think they do not have the space. This is a very large surround because it projects off of the wall giving it even more mass. Shown in Antique Beige Travertine and is named after Melrose Ave, California. This surround was fully customized in all of its dimensions. Overmantel fireplaces are displayed in our showroom in Chicago. There is an office in Los Angeles but the mantel store is in Illinois. 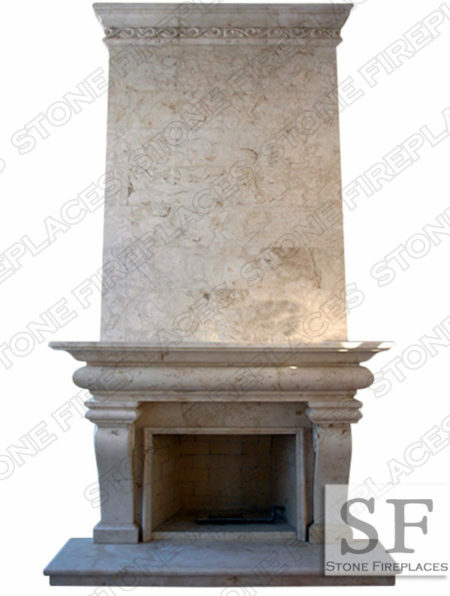 Melrose Marble Fireplace Mantel is a traditional fireplace. Ask about our local Chicagoland fireplace installation. Marble fireplace mantel with marble over-mantel. This is a marble fireplace made from two different marbles to allow for the details to pop out more. There are two beautiful marble lions on top of the mantel and top marble statues holding up the mantel and the over-mantel. Marble fireplace mantel with a marble overmantel carved from marble. There are statues flanking the sides of the marble fireplace mantel and statues flanking the marble fireplace overmantel. Large overmantel fireplace with a raised hearth. Dentil moulding mantel shelf. 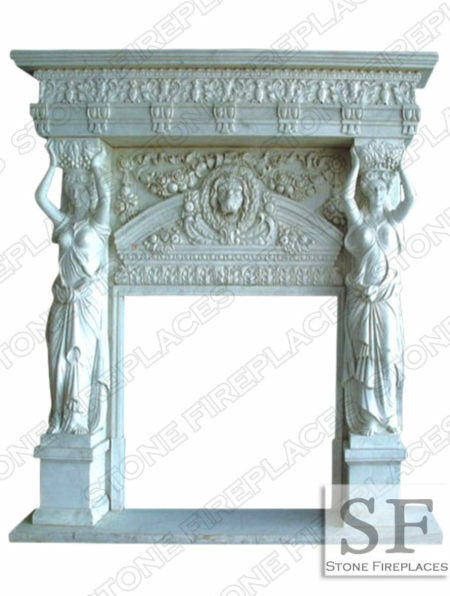 Marble mantel with beautiful hand-carved details in the marble fireplace. There are two tone stones in this marble fireplace mantel to give it a unique look. 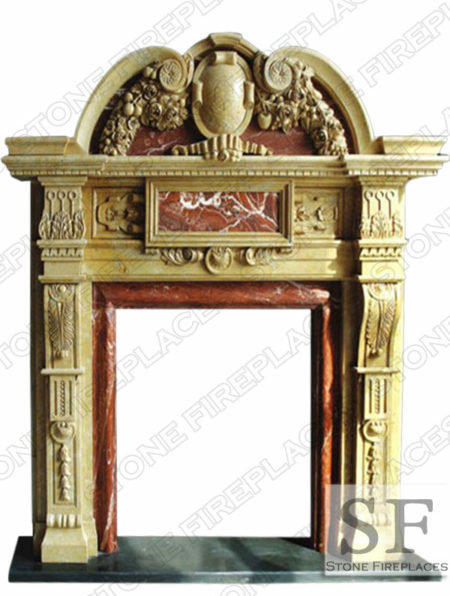 Red ornate carved fireplace mantel. Beautifully hand carved ornate statue overmantel with intricately designed header and mantel shelf. 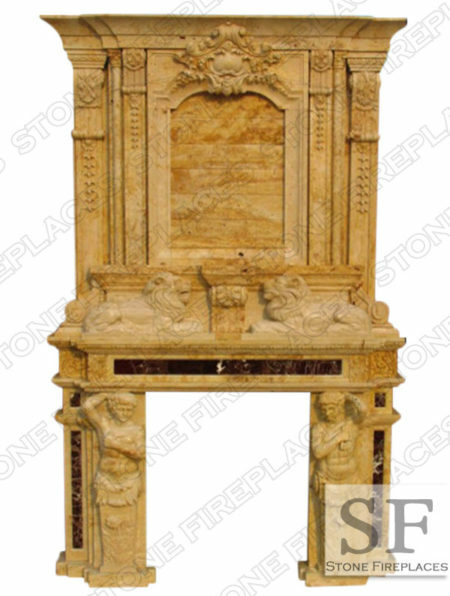 Carved marble fireplace mantel from Antique Beige marble. There are a lot of beautiful details in this cream marble mantel. On top of the marble mantels there is a relatively small half circle marble over-mantel. French style mantel. Add an overmantel in any size and detail on top of a fireplace surround. This is a cast stone fireplace with overmantel. The size of this cast stone fireplace can be made custom to a particular firebox or wall. The cast stone hearth, cast stone legs, cast stone mantel and cast stone overmantel are made from the same color and texture cast stone. Cast stone comes in a variety of colors and textures. 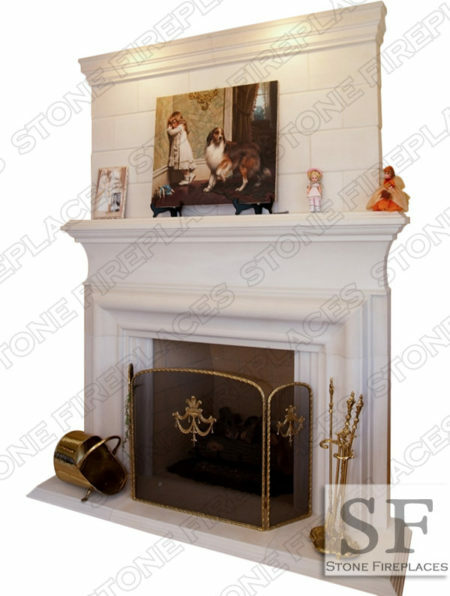 This Memphis fireplace with overmantel is done in a smooth cast stone. One option is to make it with a travertine like cast stone. The design of the Memphis fireplace with overmantel can also be adjusted to your liking. Memphis fireplace with overmantel can be made from natural stones such as white marble, marble, limestone, sandstone and travertine. Stone Fireplaces does CAD drawings of all the cast stone fireplaces so that the buyer knows exactly what they are getting. This is the Portland cast stone fireplace with overmantel and raised hearth. Cast stone fireplace with overmantel. 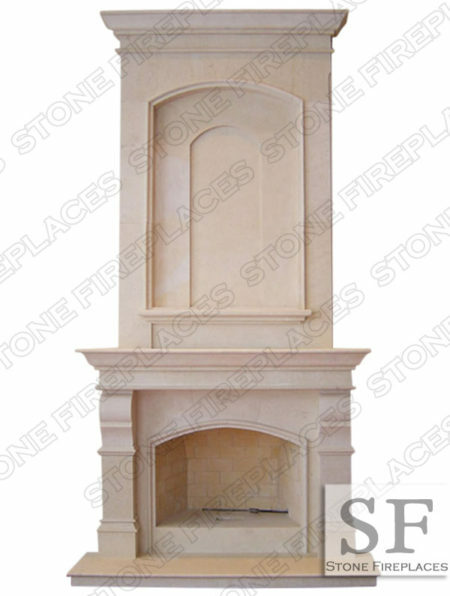 The size of this cast stone fireplace can be made custom to a particular firebox or wall. This Portland fireplace with overmantel and raised hearth is done in a smooth cast stone. One option is to make it with a travertine like cast stone. The cast stone raised hearth, cast stone legs, cast stone mantel and cast stone overmantel are made from the same color and texture cast stone. Cast stone comes in a variety of colors and textures.The design of the Portland fireplace with overmantel and raised hearth can also be adjusted to your liking. 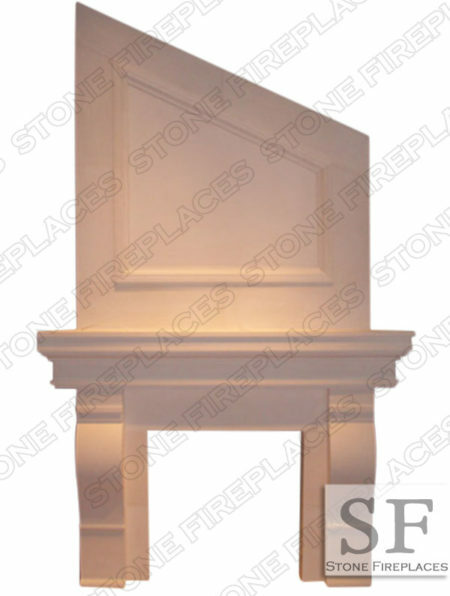 Portland fireplace with overmantel and raised hearth can be made from natural stones such as white marble, marble, limestone, sandstone and travertine. This is a foam backed cast stone that allows it to be light weight and easy to install. 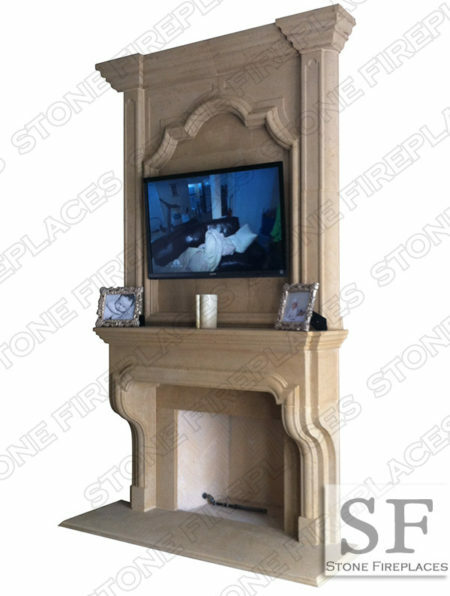 Stone Fireplaces does CAD drawings of all the cast stone fireplaces so that the buyer knows exctly what they are getting. Ask about our installation of fireplaces. This is the Austin cast stone fireplace with overmantel and raised rounded hearth. Cast stone fireplace with overmantel with rounded hearth. 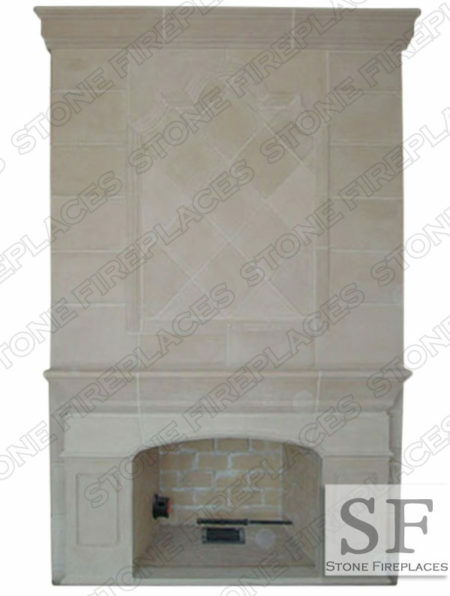 The size of this cast stone fireplace can be made custom to a particular firebox or wall. What is unique about the Austin cast stone fireplace with rounded hearth is that the hearth is a semicircle. The semicircle raised hearth gives the Austin cast stone fireplace with overmantel more projection while not taking up too much space. This Austin fireplace with overmantel and raised hearth is done in a smooth cast stone. One option is to make it with a travertine like cast stone. The cast stone raised hearth, cast stone legs, cast stone mantel and cast stone overmantel are made from the same color and texture cast stone. Cast stone comes in a variety of colors and textures. 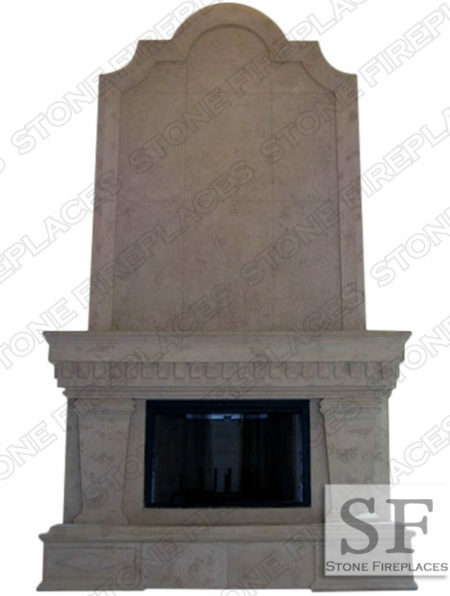 Austin fireplace with overmantel and raised hearth can be made from natural stones such as white marble, marble, limestone, sandstone and travertine. This is a foam backed cast stone that allows it to be light weight and easy to install. Stone Fireplaces does CAD drawings of all the cast stone fireplaces so that the buyer knows exactly what they are getting. Ask about our installation of fireplaces. The design of the Austin fireplace with overmantel and raised hearth can also be adjusted to your liking. Marble fireplaces on sale. Marble fireplaces in stock and available for quick delivery. 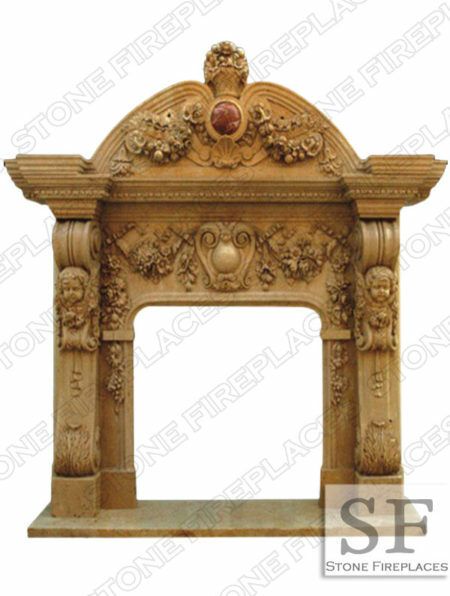 Cast stone fireplaces on sale. Great prices on cast stone fireplaces. Click the link on the home page to get great prices on fireplaces. This is a modern fireplace or a contemporary fireplace mantel. Save on custom fireplace surrounds with overmantels and columns. 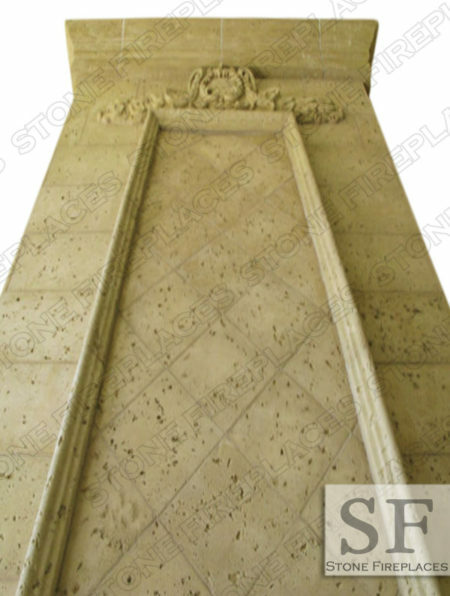 We offer a great selection of marble, cast stone, limestone, and travertine mantels along with the ability for our customers to customize to their specific wants. 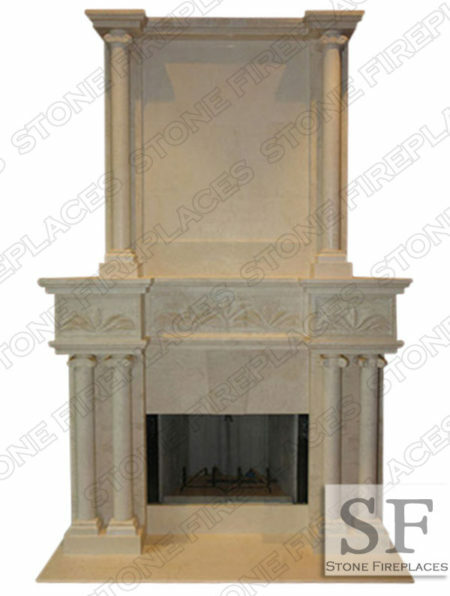 The Denver marble fireplace is available in limestone and other natural stones. A great design and picture of an overmantel with columns. 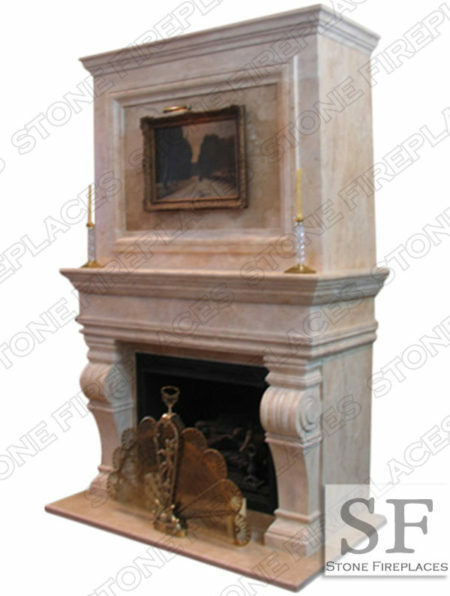 The Tuscany Fireplace with Overmantel is a great classic fireplace mantel design. The Tuscany Fireplace w/ Overmantel can be made from many different types of stones including Marble, Limestone, Sandstone and Cast Stone. 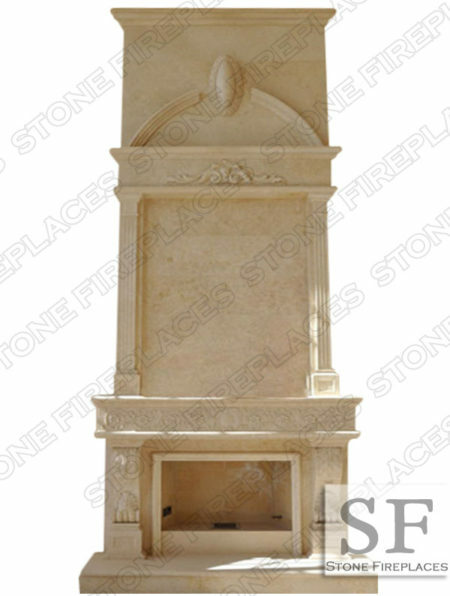 This particular Tuscany Fireplace with Overmantel is made from marble. 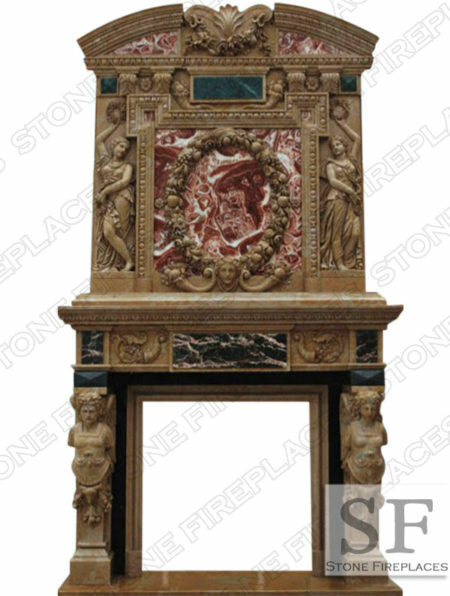 The marble hearth, marble mantel shelf, marble columns and marble overmantel are all made from the same marble. 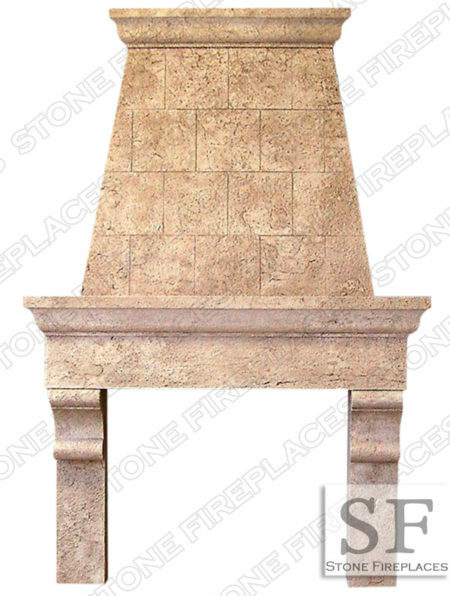 When made from cast stone the Tuscany Fireplace with Overmantel can be made in a smooth cast stone, textured cast stone, or a travertine type stone. With cast stone or plaster, there are a variety of colors and textures to choose from for your fireplace mantel surround. This model (Tuscany Fireplace with Overmantel) as with many of the fireplaces can be made custom to fit the needed dimensions. A Custom Fireplace surround is made affordable by Stone Fireplaces. 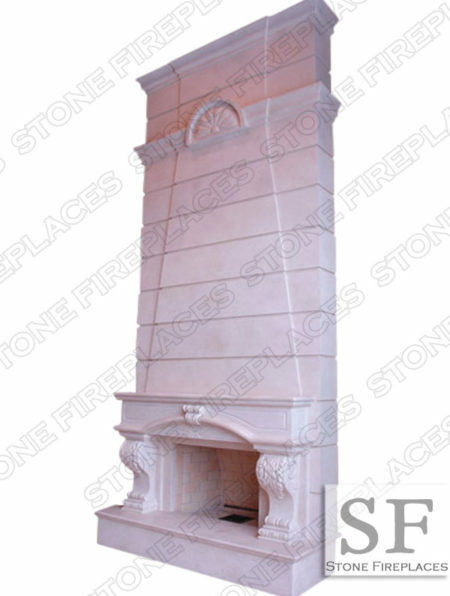 These cast stone fireplaces and plaster fireplaces are great for remodeling and new construction. 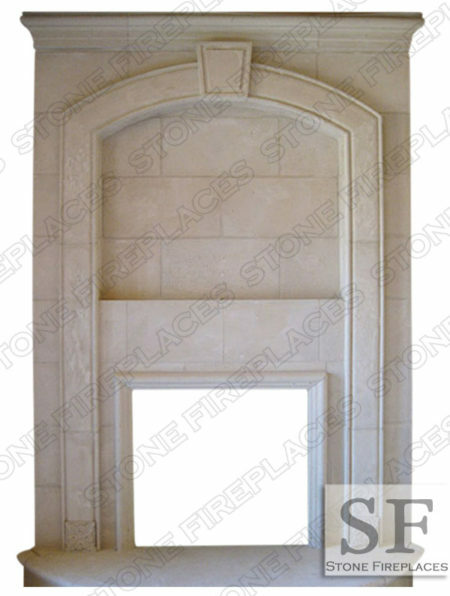 Stone Fireplaces offers a light weight cast stone that typically does not need additional structural support. The cast stone fireplaces usually don't need structural support because they are light weight and a lot of the weight is dispersed on the back wall and on the floor. Installation is simple with these cast stone and plaster fireplaces and can be done by many different types of tradesmen including but not limited to carpenters, masons, landscapers and tile installers. Stone Fireplaces can provide installation on fireplaces for local Chicago-land customers including but not limited to Burr Ridge, Hinsdale, Wheaton, Glen Ellyn, West Chicago, Orland Park, Barrington Hills, South Barrington and Barrington. Stone Fireplaces can also provide fireplace installation in Wisconsin, Indiana, Michigan, and Iowa. Marble Fireplace Surround with Overmantel Many Natural Stone Colors/Textures Available Custom Design Dimensions to Your Needs Specializes in custom fireplace mantels. We do custom marble, cast stone, and limetone travertine surrounds. This can be a custom design altogether or a made-to-order over-mantel. Pictured with a raised hearth and has an overall height of about 18-20 feet. 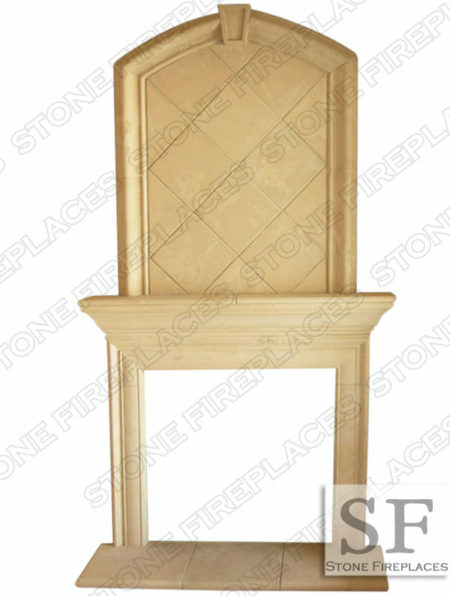 The Classic English Cast Stone Overmantel Fireplace is a staple in our past and present. 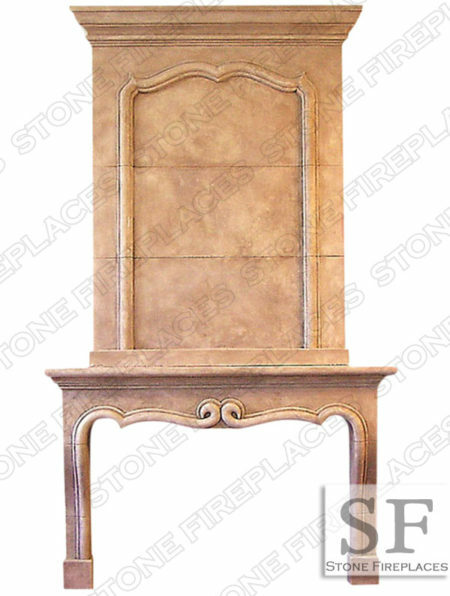 This elegant mantel is available in custom sizes and colors. There is also a niche. Niche has a diamond in-lay for the cast stone paneling. The crown molding at the top that follows the same style as the wood crown molding. All the joints on the cast stone fireplace are tight and are finished to give the cast stone fireplace a complete look. 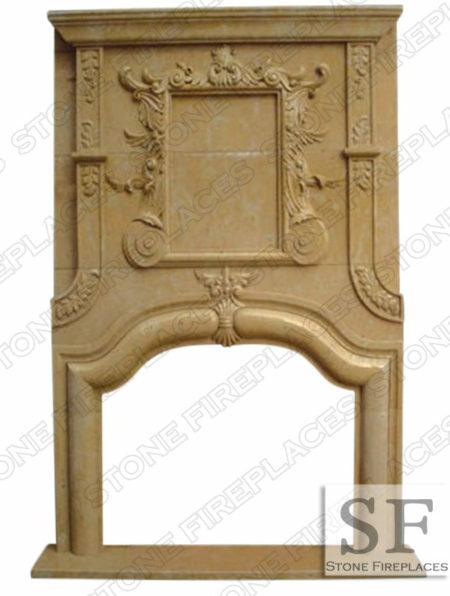 This French style cast stone fireplace mantel is modeled after historic French mantels. A small cast stone overmantel fireplace with a classic atmosphere. The Clermont overmantel fireplace is a clear choice for those looking for a historic French cast stone fireplace with overmantel. The cast stone over-mantel also has a cast stone crown molding at the top that follows the same style as the wood crown molding. The cast stone fireplace surround with over mantel also has a cast stone hearth. All the joints on the cast stone fireplace are tight and are finished to give the cast stone fireplace a complete look. 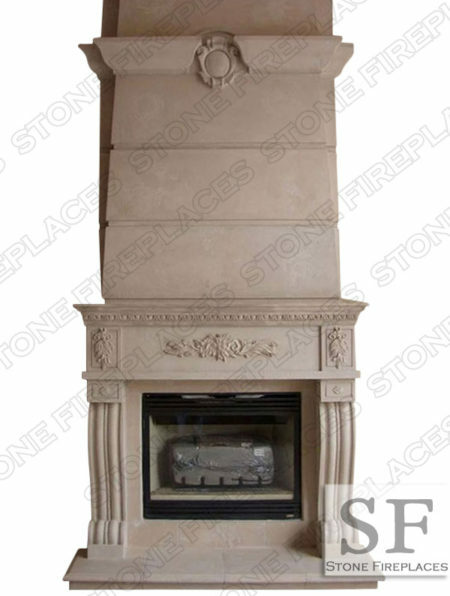 The Winnetka model in Cream Limestone is one of our most popular traditional fireplace surrounds. 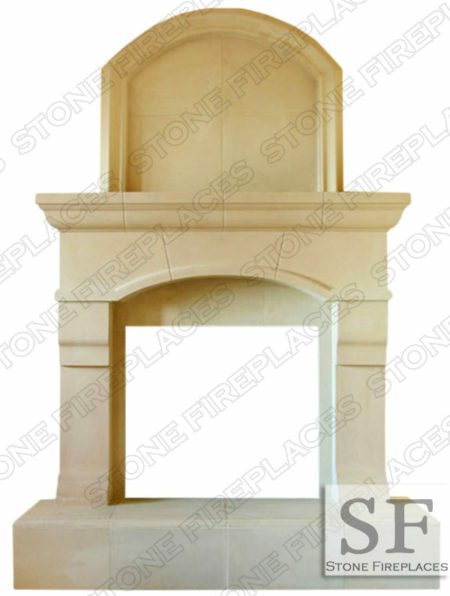 Carved from solid natural limestone this fireplace has a step mantel shelf and step jambs. The hearth is a beveled cream hearth as well. A great example of our expert craftsmanship that can be yours. 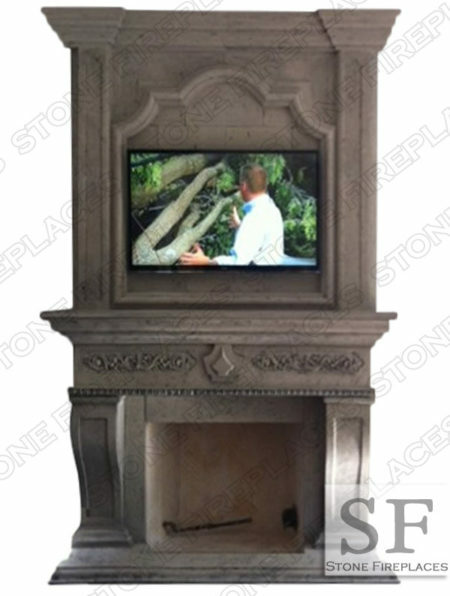 Stone Fireplaces installs in the Chicagoland area as well as out of state. Viewing sizing information under the In Stock tab below. Your premier supplier of natural stone and cast stone fireplace mantels.